Karen Lee-Waddell’s light bulb moment happened because of a complete lack of actual light bulbs. On a quiet night when she was around 8 or 9 years old, Dr Lee-Waddell went for a drive in the country with her sister. There were no city lights to mask the stars as Dr Lee-Waddell’s sister pointed out the constellations. “I fell in love with the night sky,” she said. 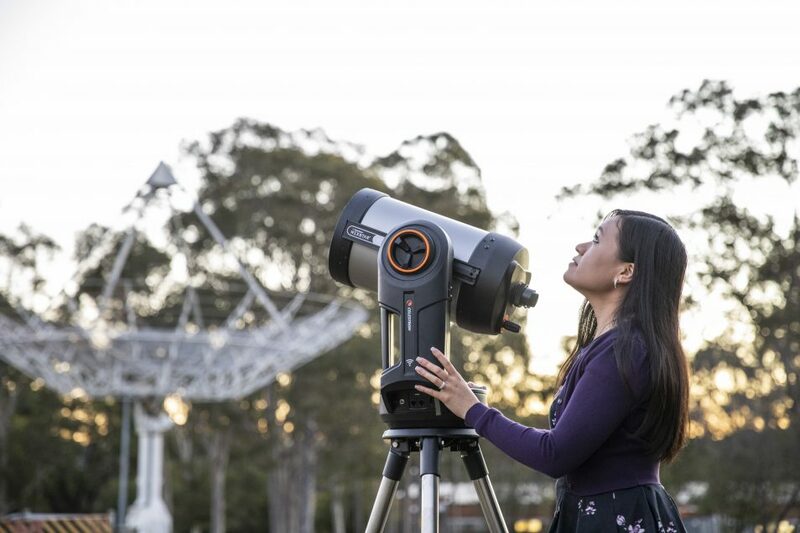 That gratitude is what drove Dr Lee-Waddell, now an astrophysicist working on Australia’s most powerful survey radio telescope, to join CSIRO’s STEM (science, technology, engineering and maths) Professionals in Schools program. STEM Professionals in Schools facilitates ongoing, flexible partnerships between STEM Professionals and teachers in Australian primary and high schools. “I love working with students – inspiring them and being inspired by them,” she said. Through STEM Professionals in Schools, Dr Lee-Waddell works directly with students around four times a year and with her partnered teacher year-round. STEM Professionals in Schools aims to help address the increasing gap in Australia between STEM literacy and the requisite skills of future industry. Enrolments in STEM subjects last year were at a 20 year low, despite research indicating that 75 per cent of the fastest growing occupations will require STEM skills. “The experience and insight that STEM professionals can bring in to classrooms are invaluable,” Dr Lee-Waddell said. Dr Lee-Waddell has undertaken a range of activities from using telescopes to observe the sky, building sun viewers and making scale models of the solar system with the students. She has also drawn broadly on her skills as a scientist to assist teachers with the development of activities aligned to the Australian Curriculum, in topics such as soil erosion and weathering, why is the sky blue?, phases of the moon, and urban planning. STEM Professionals in Schools is Australia’s leading STEM volunteer program and welcomes new recruits year round. Sign up today; real-world STEM belongs in our classrooms, but real-world practitioners are needed to put it there.